My teacher placement experience was more than I thought it would be.In all the searching, and reading I did, nothing prepares you like first-hand experience.I was blown away by all the friendly, helpful smiles of parents, teachers, and students.I could see that Sagreen International's goal was to help make a smooth transition, comfortable and safe environment. Though I was the teacher, I feel as if I am the one who learned the most; Indian culture, Kerala food, relationships and culture. Thanks! Teaching English at the School was a special, thought-provoking experience. 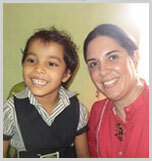 India is a unique place and the teachers and schoolchildren I worked with were so friendly and kind. The enthusiasm with which the staff and student body at the school embraced me as a foreign teacher was overwhelming in the best sense of the word. Being greeted by the smiling faces of my kindergarten students each day as I began our lessons was a rewarding and instant gratification. 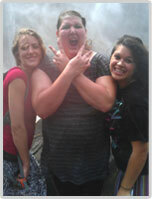 The people I met through the internship program will stay with me long after I’ve gone home! While being in India is exciting and sometimes jarring, it is also the sort of fun and surprising experience that can only be had first-hand. I enjoyed the beauty of the beaches and the Western Ghats during school holidays as an additional bonus. All in all, it was a fulfilling three months and I know that through the program, I’ve grown exponentially. About India & people I cannot speak but wonderful things, the most sweetest people I've met , and I feel so proud about this country. As I always say, my heart is from India. INCREDIBLE INDIA! The organization Sagreen International is wonderful, I can only speak positive things, all the time they were taking care about me, and I always will be remember them with my heart. I just want to express my huge gratitude, and thank God for having known you .Thanks Sara and Mr. Sathiq. Kindergarten, each child's smile lights up every morning, just being with them is a medicine for the soul. The teachers simply excellent. I was really impressed. They are the best! All of you are wonderful, thank you so much, i'll never forget this experience. The experience was amazing! My name is Rebecca Graham, my friend Hannah Deadman and I recently completed teaching internships coordinated by your company from August to December 2011. We thoroughly enjoyed our time in India and would like to thank you, especially Mr Sathiq and Sara, for making our transition into Indian life so easy and for answering all of our questions. First and foremost I reiterate that I thoroughly enjoyed the experience at the school which provided me with a rich learning environment and met all of my expectations regarding my ability to access a range of language learners at differing levels in their development. I believe that the Internship programme has a lot to offer to recently qualified inexperienced ESL teachers this is what I personally gained from my experience being here in India. 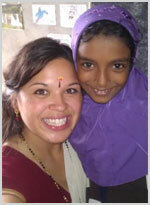 Teaching in India changed our lives, and was truly an amazing experience that we would recommend to everyone. We have now been in Daejeon, South Korea and we are settled in our apartment and in our schools. The teaching experience gained in Kerala could enable us to understand the difference between an ordinary teacher and good teacher. Sagreen’s program is extremely organised and supportive to all native teachers. Thank you for being the stepping stone to our life changing experience. 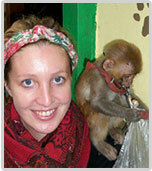 I would recommend Sagreen to anyone who is thinking about teaching experience in India. Sara has been extremely helpful from start to finish. Any questions or queries were answered promptly. All problems were addressed immediately and the transition of applying abroad which can be daunting was done so much easier through this agency. I would highly advise people to use this agency as it makes the application process much easier. 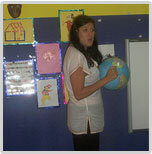 When I first started to look into teaching posts abroad my focus was always Asia. In the early stages I hadn't considered India , I thought it would be too under developed to appease my adventurous side, but the more I researched, the more tempted I became. It was at this point I stumbled across Sagreen International and the wonderful Sara. Through every step of the application process and continued support once my contract began, Sagreen have been supportive, professional and available. Their help has been invaluable and I'd urge anybody looking to teach in India, whether new to ESL or a veteran teacher, to seriously consider using Sagreen. I'm having a wonderful time teaching and exploring in Kerala and I will never forget the role Sagreen played in making this possible. Thanks! 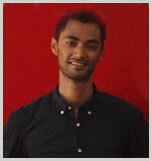 I fully recommend choosing Sagreen International if you are considering teaching English in India. From the moment we first made contact the service has been impeccable. They are quick to answer our questions and very prompt in replying to my many emails! We had a wonderful ,memorable time in Kerala. If you want to teach in India, I would highly recommend using Sagreen International. Sara was always helpful, responding quickly to all of my questions and giving great advice. Thanks so much for all your help. I will definitely use your company again in the future and definitely recommend you to my friends in Washington. Throughout the application process of the voluntary internship that I have just taken part with sagreen International I could not answer the question why was I doing this. I graduated University and did some travelling but nothing on the scale of what I was about to embark upon. 4months away in what I was to expect a complete different world in a country so far from what I knew. I didn't have great expectations before coming to India, I was quite apprehensive and the expectations I had were based on very little knowledge. Perhaps that's why I came, I knew hardly nothing about the country apart from everyone I talked to who had been, sang its praises and everyone who had never been had invalid input. I came in January 2013 and started working at Excel School within a week of arriving. I will not scratch out every detail but I can say everything has been a wonder. A complete enriching experience. There are many things about this place which makes it so, but first and foremost is the people that populate this part of southern India. Everyone is friendly, helpful, pleasant and always happy and wanting to speak to you. It is apparent that I wasn't from around here, as with thither Intern that was here with myself, but everyone at the school, local shops, town was happy to have us come by, talk, be helpful and assist us in whatever we needed. The students at the school were one of the very best things about the whole experience, as well as the teachers. I will miss them all dearly. The school itself is far beyond my expectations, rated as one of the best in Southern India, the chairman here is a dedicated and determined person whom I respect for his drive to bring education to rural India. A true inspiration. I am proud to have worked here. My job here was to teach, but I have learnt more than I feel I could have taught, I have taught the students, but they have also taught me. While teaching here I was under guidance from the Vice- Principal and the English teaching staff who were nothing but helpful. I had very little to no experience in classroom teaching but within a week I found myself eager to get started and take classes myself. I feel now I am competent enough and have found my legs in teaching. Teaching from grade 2 up to IGCSE students, I have had the opportunity to flex my ability to teach a range of ages. I helped students through their ESOL examinations and got a real sense of accomplishment when I saw I was actually making a difference in helping these students with their ESOL studies. I will leave India with a true happiness inside myself. An understanding about a part of the world I would have not had the chance to explore as a native does. A understanding of the culture. 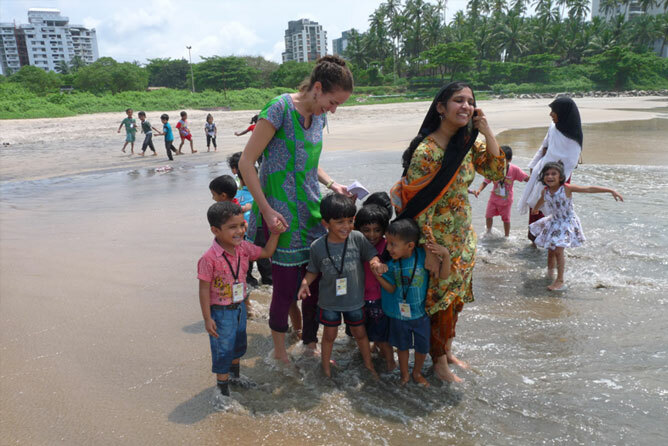 From taking part in festivals, seeing the fisherman bring in their daily catch to riding the local buses, trekking the jungles and of course teaching the students. I would recommend this to anyone who wishes to undertake travel and teaching ESOL. I never expected to get so much out of it, but I had a wonderful time, met some great people and gained some essential experience in a part of India which I regard as true India. The real India, were people live every day, not the tourist destinations, although they are all within reach. The beautiful beaches of Kerala, lands and, Kanyakumari, where 3 oceans meet to Neyyar Dam where you can get within touching distance of free lions. I had the chance to visit them all. As well as the other things mentioned, traveling and exploring was just one of the perks. The past months have been amazing and beneficial to me and I won't forget my time here. Upon leaving I am eager to return.